Two thumbs up are in order for my FIRST-EVER crock pot meal! Hard to believe, right? Growing up my mom never used or even owned a crock pot. Now that I have a crock pot (“thanks Paula for the wonderful Christmas gift!”), I’ll be slow cooking all time! I will admit, I was a little scared prior to using the crockpot. I’m a little fearful of fire . In my younger days I caught salmon on fire while broiling it in the oven. Actually it was the excess olive oil on the foil that caught on fire. That being said, that’s nothing compared to the Easy Mac I caught on fire in the microwave when I was in eighth grade… not so easy now is it?? How did it it catch on fire you ask? I forgot to add water. Last but not least, my CHI flat iron caught on fire two years ago. Black smoke starting coming out of the on/off switch. When I took it back to Ulta, the sales associate said, “What, you don’t want to look smokin’ hot! !” I had to laugh at that one. This meal doesn’t get any easier. Simply throw your chicken breasts into the pot. Add the taco seasoning. Add the salsa. Turn on the heat. And wait….. In the meantime, you could go for a nice run, work from home, run some errands, eat a a snack, get on Facebook…. 🙂 After a few hours, you can check on the chicken. When it is done, shred it with two forks and return it to the pot. I found that the chicken got even more tender when I returned it to the slow cooker. Meanwhile, preheat your oven. Get the taco shells ready, your tomatoes, green onions and other toppings chopped, and set your table because dinner is about to be served. Super easy, right? Matt even gave his approval! Have you ever caught food on fire? If so, what was it? 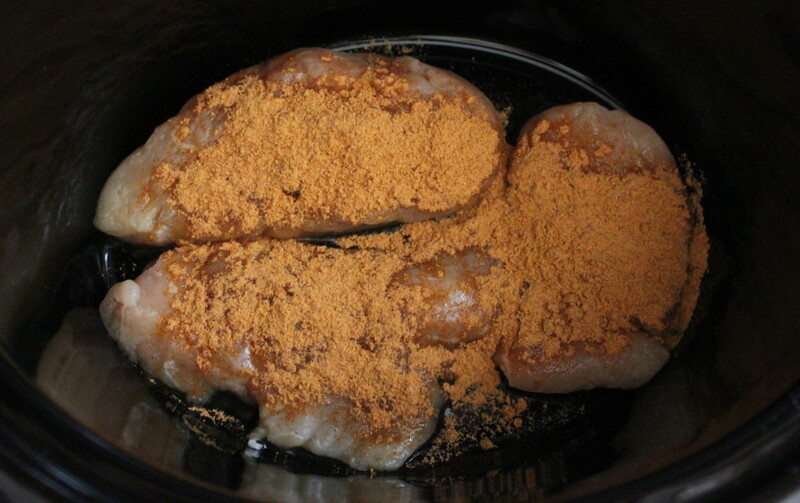 Lay chicken breasts in a single layer in bottom of crock pot. Sprinkle on taco seasoning then pour in salsa. 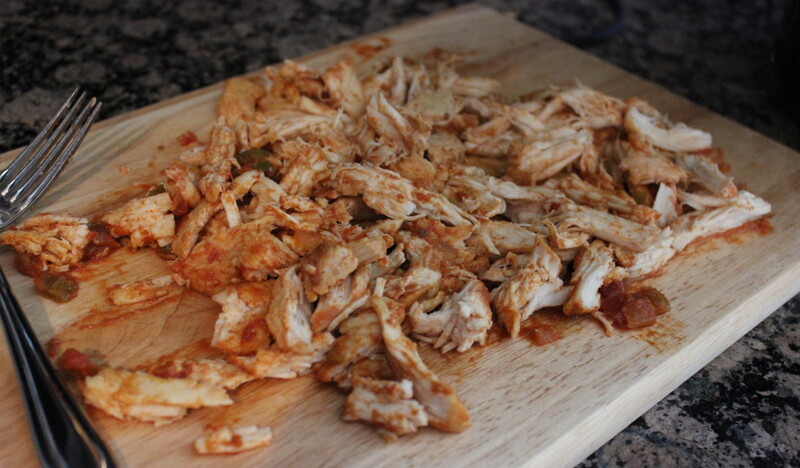 Lift chicken breast halves to get salsa underneath. Cook on low for 4-5 hours, or high for 2-3 hours, or until chicken breasts are tender. Shred then mix with some or all of the cooking liquid. 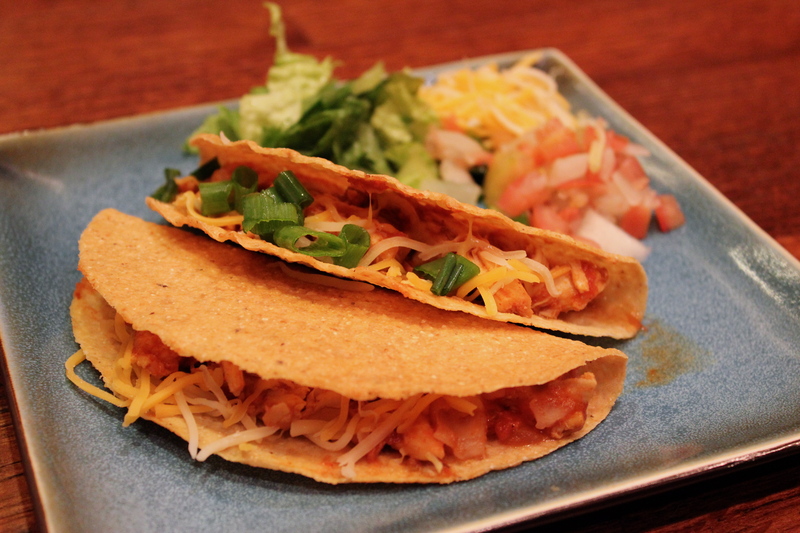 Preheat oven to 425 degrees F. Add shredded chicken in the bottom of tacos shells then top with cheese. Bake on a foiled-lined baking sheet for 2-3 minutes, or until cheese is melted. Top with desired toppings. Serve with Spanish rice and refried beans. 4 Responses to "Crock Pot Chicken Tacos"
Preparing a dish as easy as this, one could get addicted to POT………CROCK POT that is!!! I KNOW, THAT WAS CORNY. This does really look great. 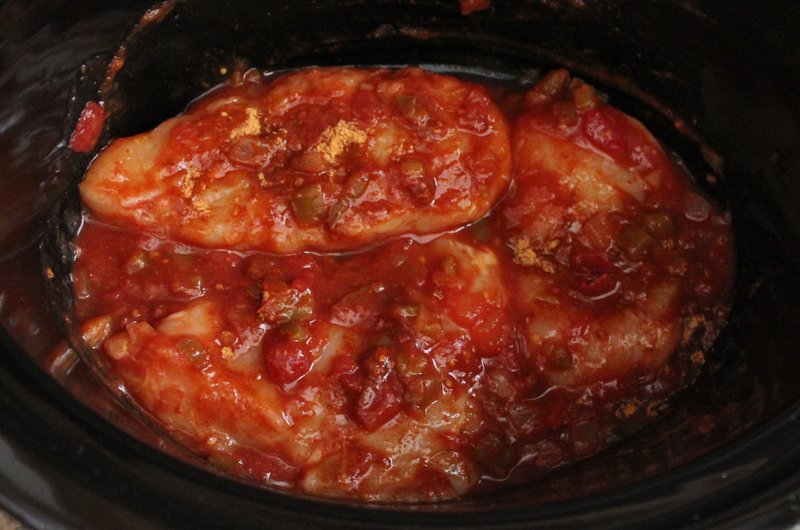 You will get addicted to using the crock pot because it is so easy for a busy family. I truly love the new look of your blog. It’s a GREAT LOOK!!! My congratulations, and I wish you lots of happy meals. I hope I still can get updates from your blog on my google reader. Do I have to do anything? To keep receiving updates I mean? Thank you so much, I really appreciate your feedback. To read posts from my new site you must resubscribe. Here’s the URL: http://feeds.feedburner.com/DallasDuoBakes or your can type in http://www.dallasduobakes.com to your Google reader.